The first presidential debate is tonight, and there will be more to come. We know a lot of you are sick of the campaigns already, but we’ve got something that might make it a little easier: candidate bingo! We can’t claim credit for the idea, but we’ve put our own geeky twist on it. Here are four slightly different cards you can download, print, and use to go head to head with your friends. If you play, we’d love for you tag us on social media—especially if you call bingo! You can stream the debates on YouTube via Bloomberg, PBS, the Washington Post, or Telemundo and catch it on major TV news networks. 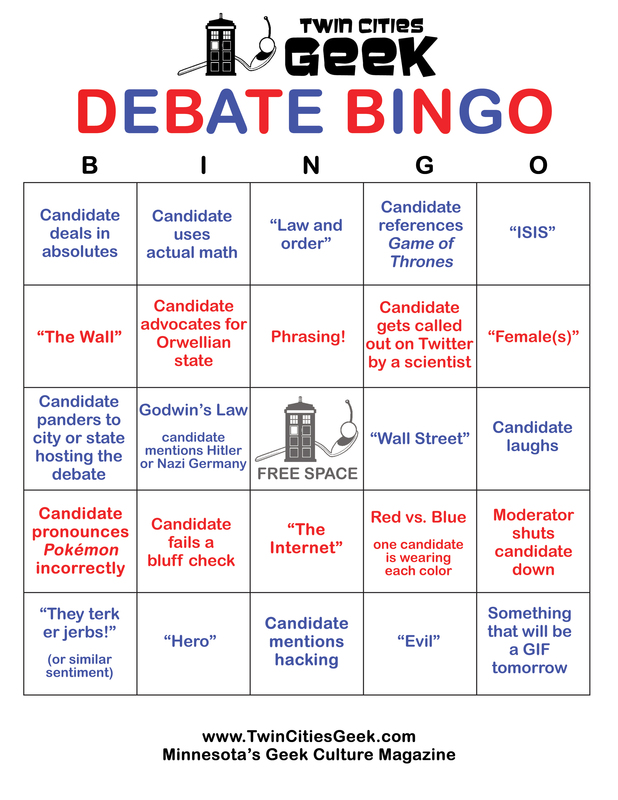 Here’s the lineup—all debates are at 9:00 p.m. Eastern/8:00 p.m. Central. And don’t forget: Election Day is coming up on November 8! Click here to find your polling place. 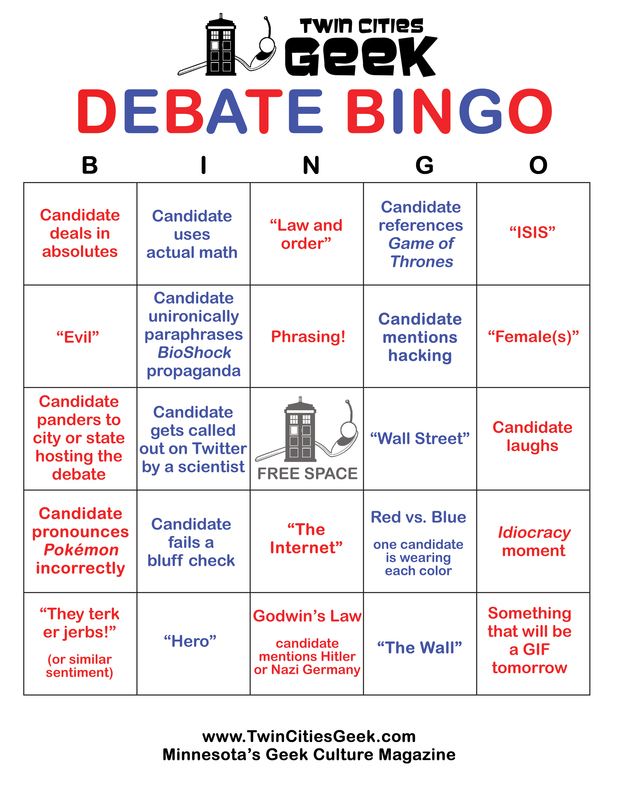 This one was especially rough to watch, but there was plenty of bingo fodder!